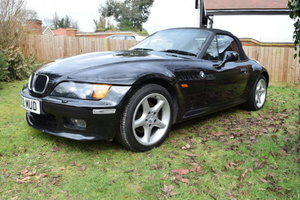 Competition Package (Sports Exhaust, Black Exhaust Tips, Black Kidney Grille, Black M4 Badges & Black Side Badges, Upgraded Suspension, 19 BHP Increase), Red Merino Leather Interior, 20" Dark M Star Spoke Alloys, DCT Gearbox, Carbon Fibre Interior Trim, Surround View, BMW Heads Up Display, Harmon Kardon Surround Sound System, Speed Limit Display, Concierge Service, Navigation Bluetooth, Heated Seats, Automatic Climate Control, Tyre Pressure Monitoring System. 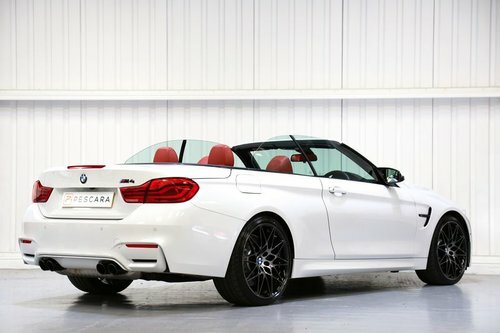 Pescara International are delighted to offer this stunning 2018/18 BMW M4 Competition Pack Convertible. 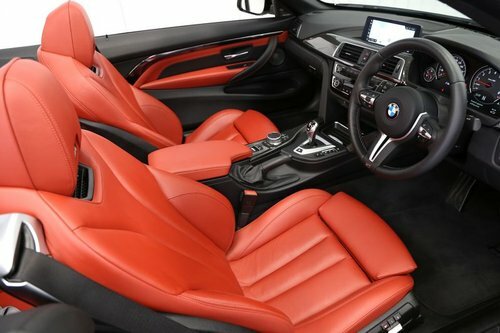 This bright example is finished in 'Mineral White' with Red Merino leather interior unquestionably a superb combination for this car along with the optional Carbon Fibre Interior Trim. 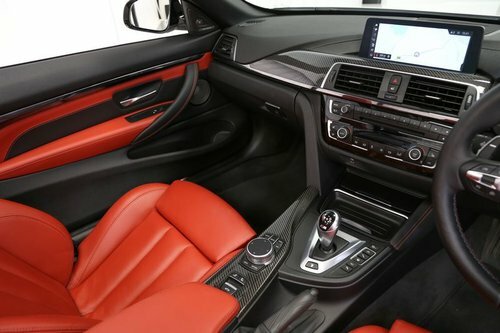 The Competition Package turns the M4 from a moderate M car into a driver focused car with an increase of 19 BHP stiffer spring and suspension giving you that connection to the road you can miss in the standard M4. 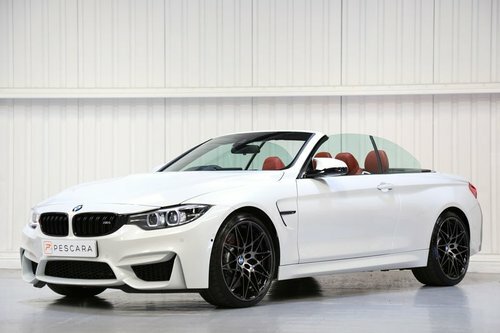 Besides the more driver focused feel you get with the M4 Competition you also get some aesthetic changes like the stunning 20" Light weight Star Spoke Alloys, The all important Sports Exhaust system finished with black exhaust tips. 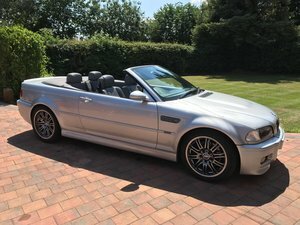 Finally you get a black Kidney Grille, Black M4 Badges & Black Side Badges all of which set the car off very well with the Mineral White metallic paint. 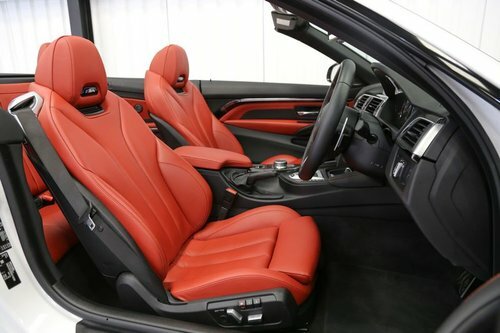 This BMW M4 Convertible comes with a 3 year BMW Warranty until March 2021 and benefits being a one owner car from new. 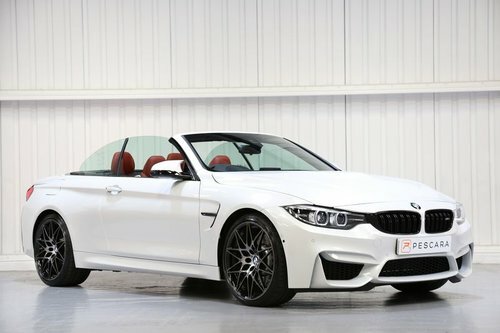 Very competitive finance rates available, please enquire to find out more about a bespoke finance agreement to help fund the purchase of this BMW M4. A full HPI report accompanied with certificate is available upon request. 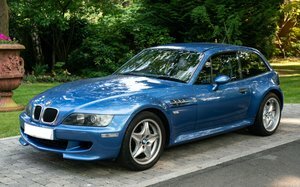 HPI report confirming HPI clear with certificate supplied.